The Unique GT250 is an American built machine which is branded as the original door machine. 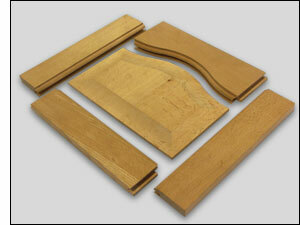 It has been designed and built specifically to manufacture Solid Wood or MDF 5 Piece Doors. With it’s unique turret system and pre-set tooling stack the machine can cut all the elements of a door in under 3 minutes. 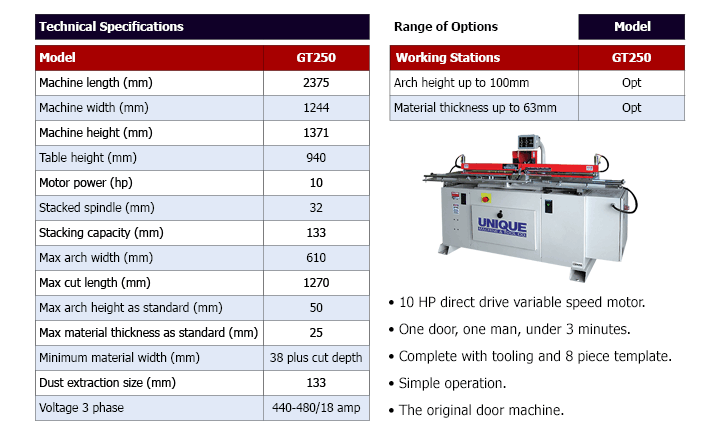 The machine comes already equipped with a Standard Tool Profile set and arch templates, although alternative Tool Profiles are available. The machine has been designed with both large and small manufacturers in mind.